Taipei, Taiwan, Republic of China. In my recent trip to Kwangju, Korea, in March 2015, I was informed that Professor Jae-Yoon Chung will be retired from Chon-Nam University. And asked me write a short article for the retirement booklet. In my mind, Dr. Chung is always energetic and robust, although not very tall, and he is a good friend of mind, I have no hesitation to promise it. Before I express blessings, I want to appreciate him and Mrs. Chung. 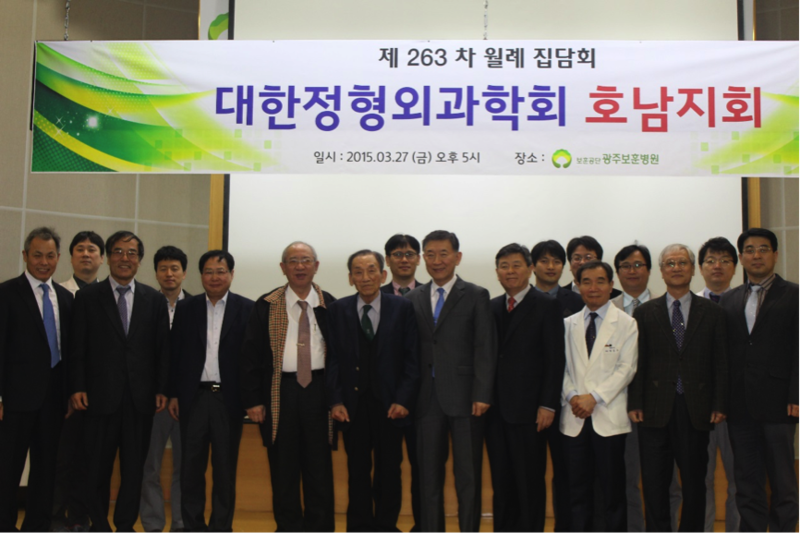 In March this year, he had invited me to give a lecture to the local orthopedic surgeons in Gwangju Veteran Hospital. 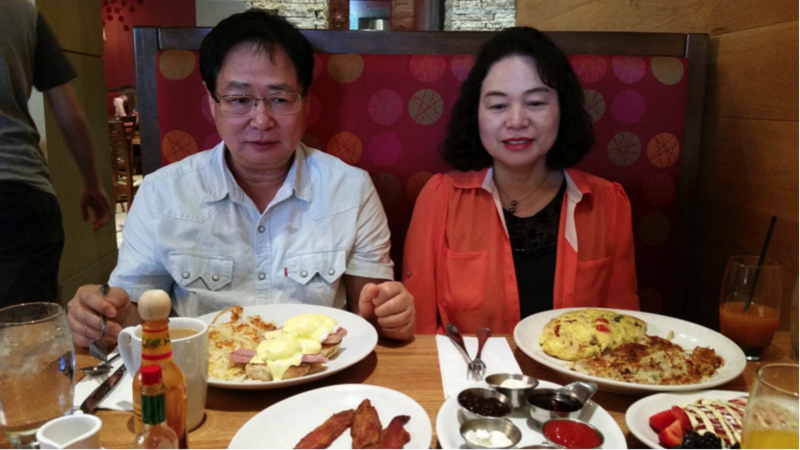 They had also arranged schedule for me and my wife a tour around southern Korean peninsula. We not only visited for my second time the famous Sungchunman (順天灣) wetland coast, where we took tour boat along the river all the way to the coastal shore along the wavy bay, and also watched many kinds of sea birds. In the lunch time, we also enjoyed gigantic fresh water oysters and big clams. This wonderful lunch was arranged by his student, a famous surgeon in Sungchunman city. He told us that at this season, the shells are at their best in terms of size and flavor. You cannot imaging the size of oyster shell can be 25 cm or longer. The meat were so fresh and juicy. The combination of bear, shoju and shells really was unforgettable and deeply rooted in my mind. Later, we have also visited the oldest temple (曹洞溪) in the nearby hill, where plum flowers(梅花) were in full blossoms. That afternoon, there were many people from afar coming here for pilgrimage. In the temple, I was very happy to whisper poems written in Chinese, those were carved on the gait walls. We also watched the very old plum trees of more than 6 hundred years old and took photos under the trees. On the third day, we also visited Mokpo city and the big island, Jingdo (珍島), by the sincere guide by Dr. Il-Kwang Koh and his lovely daughter. We have learned a lot of history and life style of people in this region. JIngdo Arilang was a folk song originated from this island. In the past, this island was away from capitol and naturally became the place for prisoners, like exiled officers who were punished by the emperors. They have left so many high standard arts and literatures here. Dr. Koh invited us to watch the local folk dramas, dances and songs in the cultural center. The performers and the stories were very impressive, and most of the contents had a feeling of sadness. Another famous point of interest was the narrow strait where famous sea battle encountered in the 16th century. The Japanese shogun, Toyotomi Hideyoshi (豐臣 秀吉) and his invasive fleet with 300 vessels were completely destroyed by the Korean troops with 13 small ships. We stood on the high tower platform, and watched down the narrow strait, it sounded war drums were still beating loudly. In the far side, there were so many small islands studded in the Yellow sea. In this windy afternoon, sunshine was gradually sunken into the ocean, we felt chilly in the body and mixed feeling in mind. After all, history really teaches us many things. One more surprise was Dr. Koh’s modern hospital. I visited this hospital 15 years ago. Now it has been expanded immensely, and nowadays it is equipped with many new medical equipment. This hospital has been appointed to carry out important duty to take care of the emergency and casualties for the civilians for the islanders as well as people in the southwest region of Korea. The helicopters are on duty 24 hours a day. Actually, Professor Chung and I have been acquainted with each for more than 25 years. He told me that we met each other on his first trip to Taipei in 1989. He was a young lecturer in the University Hospital. 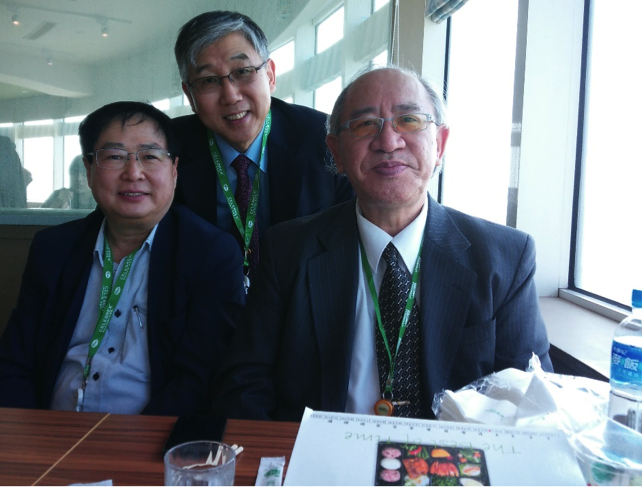 He attended the 2nd International Conference on Spinal Surgery (ICSS) in Taipei. ICSS was found by me since 1986 for 4 times before the establishment of Taiwan Spine Society (TSS) in 1993. I remember that I have invited many famous spine surgeons in the world for the meeting. They included many scholars from the United States, Japan. Europe and other Asian countries. Among them, there were Ronald L DeWald, my mentor, Jean Dubousset, John Kostuike, Keiro Ono, Kaneda and many other big figures. Since then, we met each other more and more frequently in many cities around the world. With the intimate connection through gatherings in the Spine section of Western Pacific Orthopedic Association (WPOA), now changed the new name to Asia Pacific Spine Society (APSS), we went to many Asian cities and countries, including Japan, China, Korea, Vietnam, Malaysia, Singapore, Thailand, Indonesia, India, Sri Lanker and Myamar. He also went to Bangladesh and Nepal couple months before the big earthquake for teaching purposes. He also came to Taiwan for more than 8 times for the annually Taiwan Spine Summit Forum. He has given the impression to be very eager and energetic to teach the young surgeons in every countries. The teaching programs, of course, include live operative demonstrations and lectures. He has gained respect and appreciation from the young surgeons as well as the spine faculties. 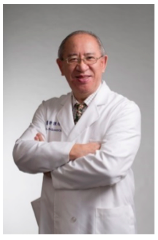 He has been elected as the general secretary and chairman of both APSS and PASMISS (Asia Pacific Society of Minimally Spine Society). With his great devotion to the Societies and live operative demonstrations, he becomes very famous in Asia and other continents. He is generously showing love of his country and his home town. He introduced me to the folk place in Kwanju, and also told me the history of Chonnan province some 15 years ago. He told me the entanglement with Japanese in history, when Japanese pirate from Kagoshima invaded this area. During the battle, one of his ancestors was captured and was sent to Shikoku Island for 14 years. He later came back to Kwangju, and wrote a memory of his refugee life in Japan. This dairy style book vividly described the life in Japan, it was still kept in the local library. Dr. Chung also likes to collect the ceramics and antiques. So, he likes to visit museums wherever he stays. like Palace Museum in Taiwan. And of course, he likes classic music, probably this was influenced by his lovely wife, Jonmi. She is a famous opera soprano vocalist. Although his drinking ability is still strong, now he is getting older, he did not drink as much as he used to be. All of the quests who have attended meetings in Korea shall not forget the so-called Atomic Bomb style drinking ceremony. Atomic Bomb is a mixture of full glass of beer with a cup of whisky putting into the glass. Everyone has to finish the glass, and then pass it to your neighbor guest. He, in turn, drink up the second glass. In one dinner party, you may have to drink 2 to 3 and may be more glasses. Sometimes, he orders Hydrogen Bomb. Hydrogen Bomb is more terrible of course. As the mixture is a glass of whisky with a small cup of beer. Only very few of us could pass the challenge. Gradually, we notice that Korean surgeons are very tough and strong. They not only have strong capacity to drink liquor, they also play golf even in the very cold and icy morning. His sincerity, joyous laughing and smiling and hardworking are his charismas. His diligent and tireless attitude toward teaching and high-efficiency organization of academic meetings are so much impressed and appreciated by all the colleagues in Korea and abroad. Finally, I have to say that I am much honored to be acquainted with him for more than 20 years, and we have become intimate friends for such long, long time. He is a man I cannot forget. I hope that after his retirement, he will be able to contribute his knowledge to the younger generation in Korea and abroad, and to take care of patients who seek for help from him. But most importantly, is he must be keeping healthy and lead a long life, enjoy family life, staying with his wife and children. And please do not forget us. Figure 1: My wife and I were sitting in front of Prof. JY Chung and his wife. Prof. Tack-Rim Yoon and Dr. Ko were getting together for the dinner. 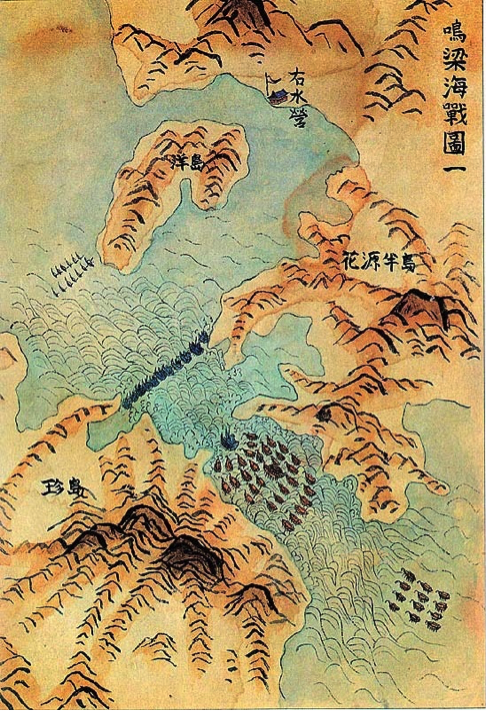 Fig 3: The sea battle between Korea and Japan along the narrow strait at Jindo in the end of 16 century. (copied from google).